Showing results by narrator "Sarah McNamara"
Being allergic to dairy can sometimes be difficult, but it doesn't have to be! Dairy Free and Happy! gives practical advice and nuggets of wisdom to help you on a day-to-day basis. Learn how to shop at the supermarket, prepare for parties, what to do in an emergency, and little ways you can stay positive, healthy, and happy, plus much, much more. 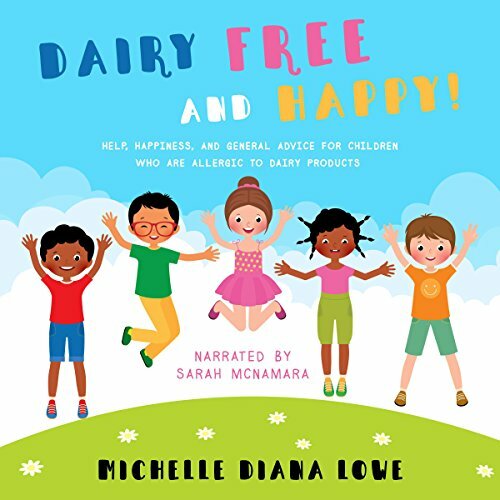 With hope, happiness, and helpful coping strategies, this self-awareness book is a must-have for children who are allergic to dairy products.